Make the most of your kitchen tools today. With Taste of Home What Can I Cook in My Instant Pot, Air Fryer, Waffle Iron…? on hand, the ideal dinner is always at your fingertips. It’s time to cook what you want—how you want! 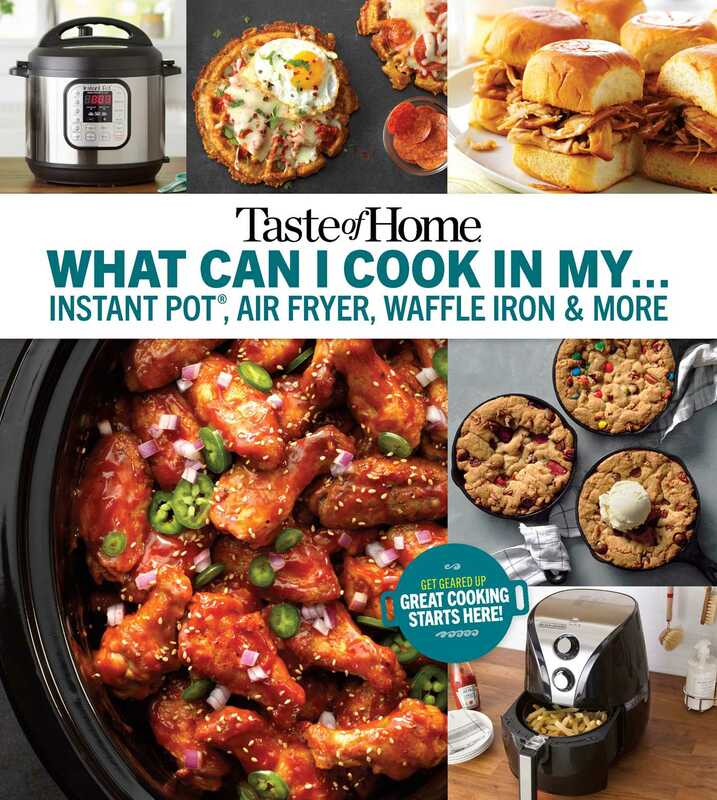 It’s easy with the recipes inside the brand-new title Taste of Home What Can I Cook in My Instant Pot, Air Fryer, Waffle Iron…? Looking for a savory dinner that comes together in the Instant Pot? Turn to the Instant Pot section, and you’ll find dozens of recipes to choose from. Need side dishes from the air fryer? We’ve got you covered with 25 air-fried specialties. You’ll also find a mouthwatering selection of slow-cooked classics, fun things to bake in muffin tins, dishes seasoned to perfection in cast-iron skillets and meal-in-one favorites made easy on sheet pans. You’ll even find recipes that take advantage of your sous-vide cooker, spiralizer and other kitchen appliances. Book Cover Image (jpg): Taste of Home What Can I Cook in my Instant Pot, Air Fryer, Waffle Iron...?